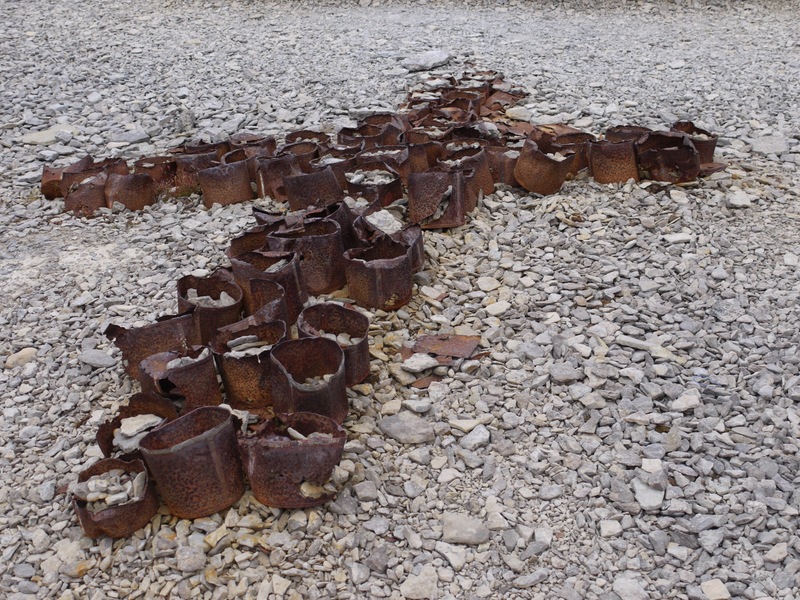 One of the things that most surprised me about my trip through the Northwest Passage this summer, on the One Ocean Expedition which sailed from Greenland to Cambridge Bay Canada, was the sheer number of sites with remnants of previous cultures, both ancient and newer. I imagined the Arctic as a vast and untracked land, but in some places, it’s easy to see the tracks of those who’ve been before me. We saw many examples of Dorset culture homes in the high Arctic. 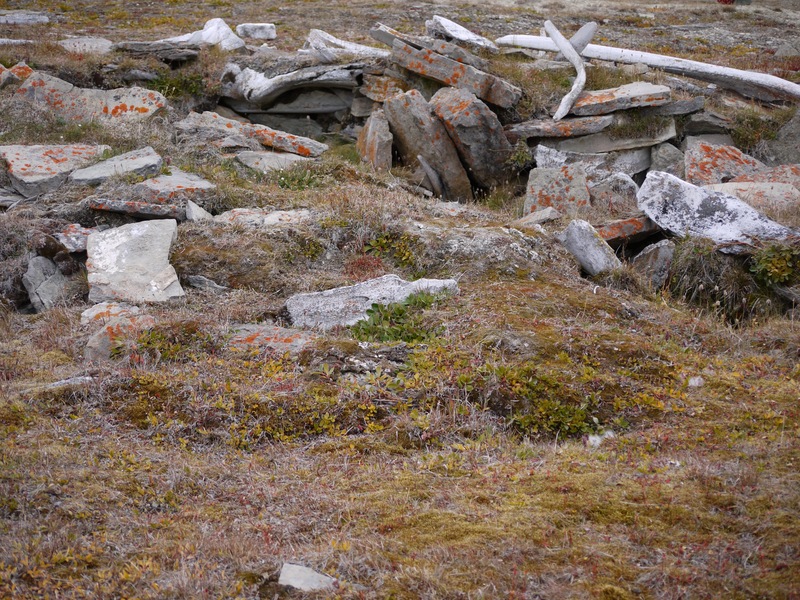 These people, who lived in the Arctic about 2000 years ago, build small square homes partially dug into the soil. The walls were reinforced with large flat stones, and there was always a raised platform for sleeping on. The doorway was low and narrow, to keep the cold out. The roof was made of skin. I’ve been to many of these sites, both this year while cruising, and last year while kayaking. It’s amazing how numerous they are. And at most of the Dorset sites, there are the remains of Thule houses as well. The Thule people came along after the Dorset people, about 1000 years ago. 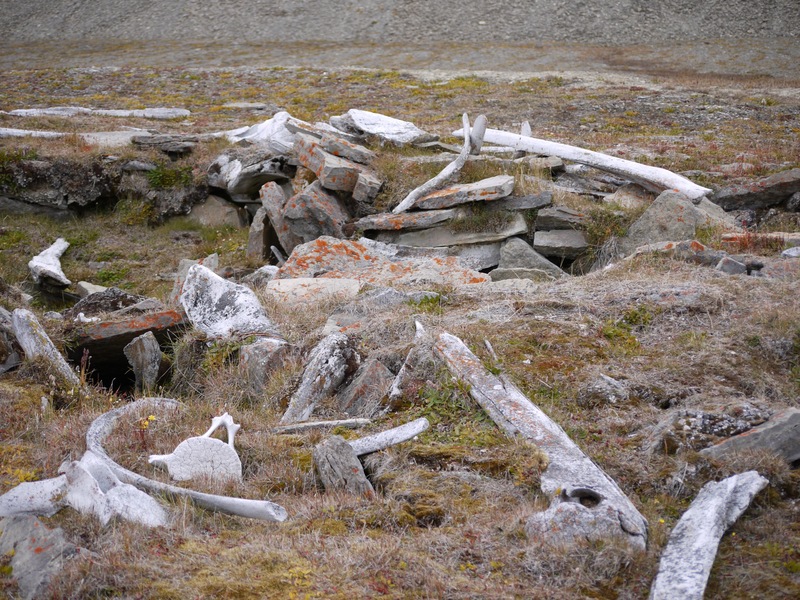 Their homes are distinctly different, as they contain whale bones. The Thule figured out how to hunt whales, and this seems to have been their main food source. 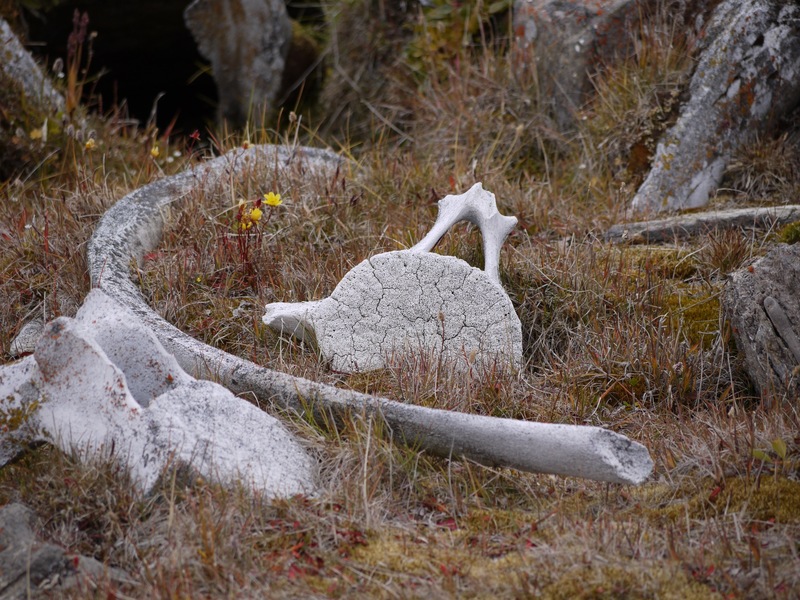 So the roofs of the homes were supported by the huge rib bones of the bowhead whale, and everywhere near these sites are old whale bones, now painted with the graffiti of orange lichen. These homes seem a little bigger, were often round, and at least the ones I saw suggested that they may have lived in larger communities. 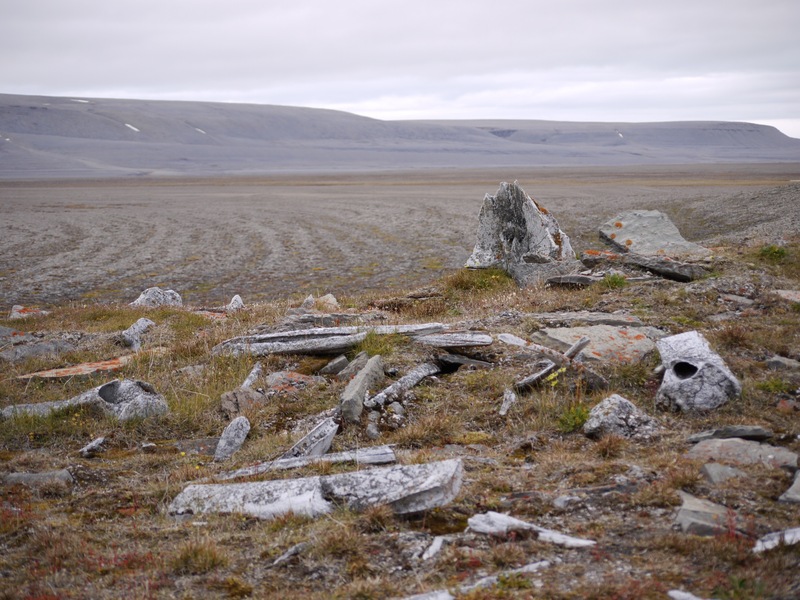 Along side the remains of the Dorset and Thule people, there are also a surprising amount of evidence of the the British explorations of the Northwest Passage. John Franklin set out in 1845 amidst great fanfare to find the route through to the Pacific, and he and his crew of some 134 men, and 2 ships, the Erebus and the Terror, where never seen again. 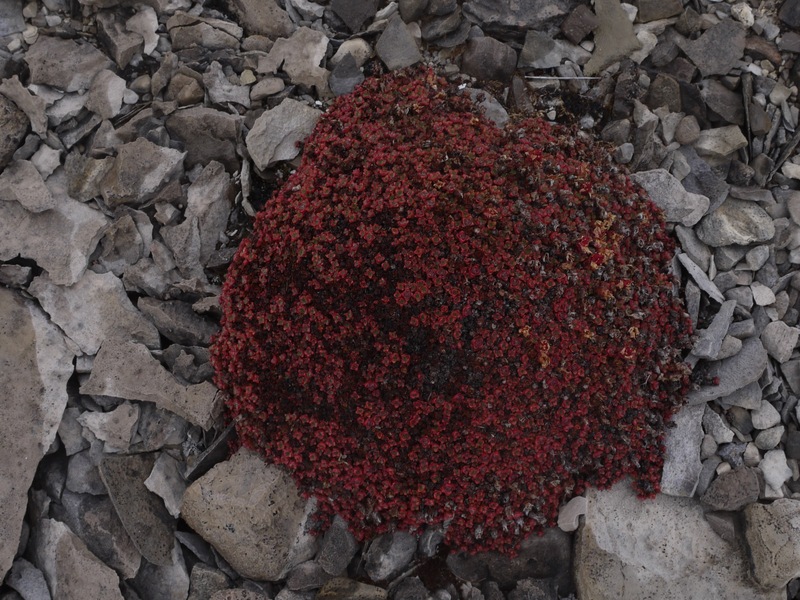 Its now known that he overwintered on Beechey Island, and the following season became locked in the ice near King William Island. Of course, the Parks Canada expedition to discover the final resting place of the Erebus was successful in 2014. Our ship, the Vavilov, and many of the One Ocean crew, were actually part of the search party! 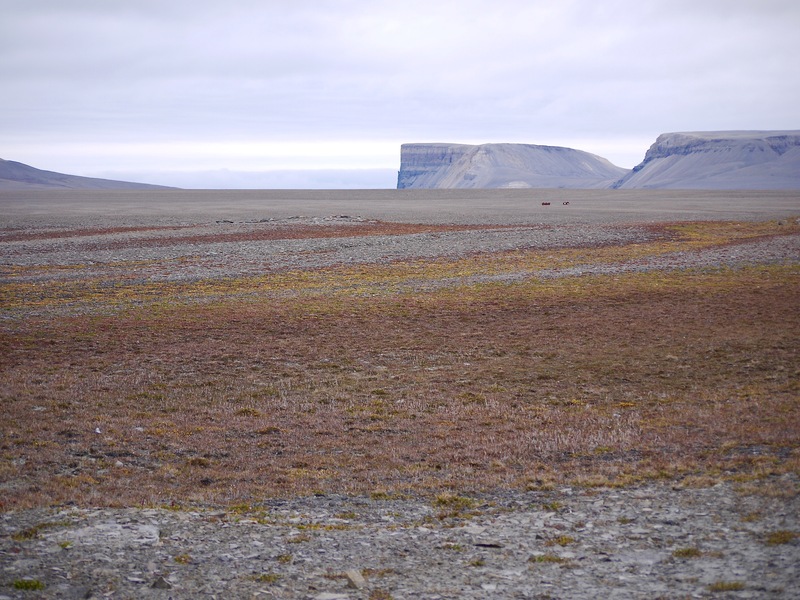 (I was lucky enough to arrive in Gjoa Haven, on King William Island, just a few days later, for work, and so I met a few other folks on that journey.) The story is fascinating for so many reasons – imagine what it must have been like to journey so far from home, into such an unknown land. They were in many ways woefully unprepared. 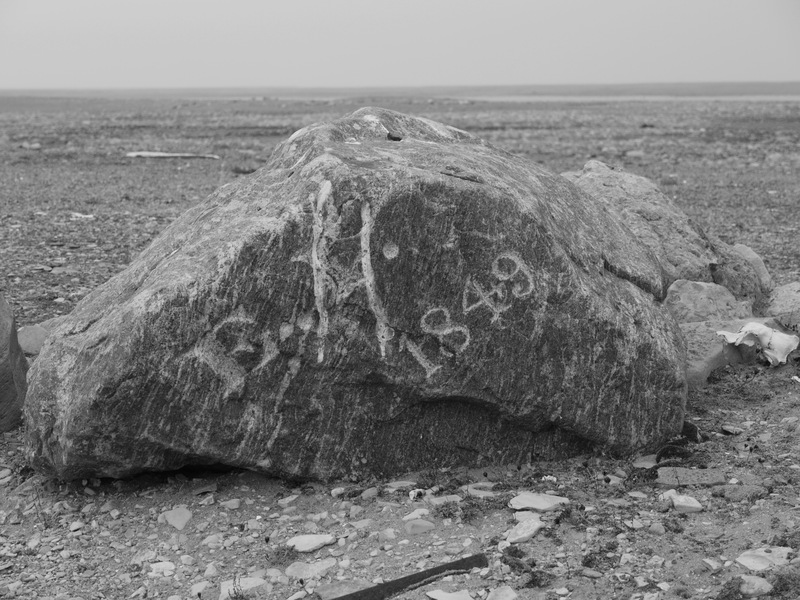 The story of the search for the Northwest Passage, and for Franklin, is a long and sad example of the sheer stupidity and arrogance of colonial thinking. The British Navy seemed to learn not one thing from the Inuit over several decades of exploration. Many more exploration parties would have perished without the help of Inuit guides and hunters, a fact the British seemed determined to ignore. 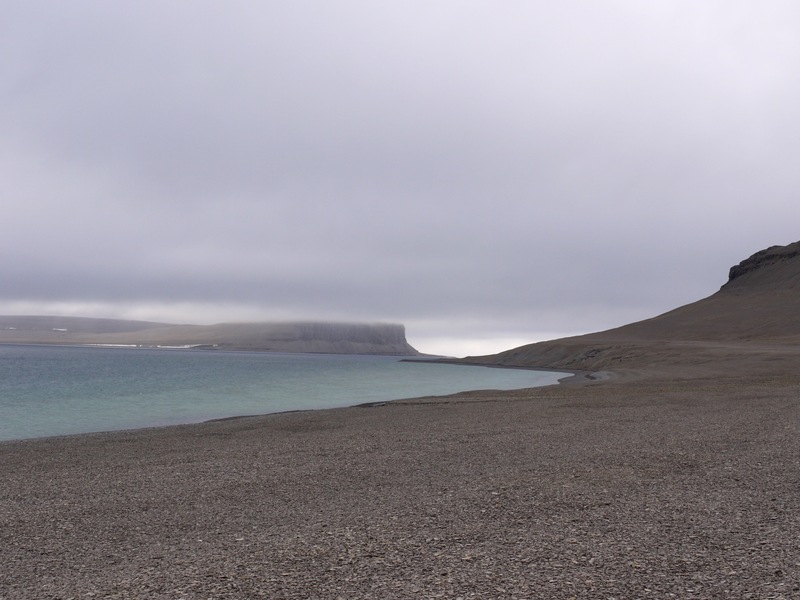 We stopped at Beechey Island, which is in the high Arctic. While I can appreciate that it is a wonderfully safe harbour for a ship, its hard to imagine a more bleak place in all the world to spend a winter. We were there in summer, on a grey and rainy day, with the temperature close to freezing. As far as the eye can see, the land is rock and only rock. The very few plants that grow are few and far between. It is a completely desolate land. There are 4 graves from the men who died during that first winter – infections, lead poisoning, scurvy, tuberculosis and starvation are what killed most of the men. There is also, further down the beach, remmants of rock walled building, and the staves of numerous barrels. Search parties left supplies on the beach in case Franklin returned. 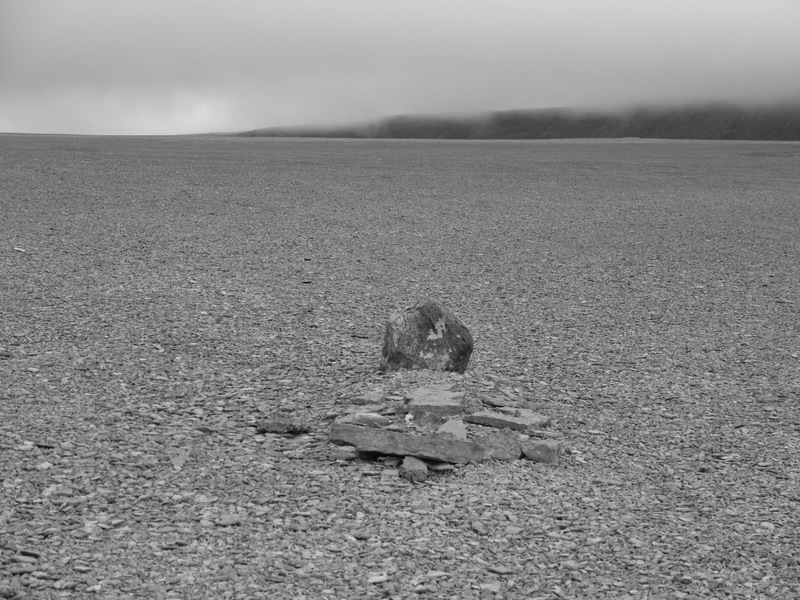 We saw graves in many places – British, Dorset, Thule and Inuit people died in that harsh land. Travelling on the path of Franklin is certainly a different experience from travelling with Franklin. I am sure he can’t imagine how easy it is to navigate the Northwest Passage in 2015. And the food is better too. Although I wouldn’t have minded having access to the 1000 plus library of books he carried on his voyage. 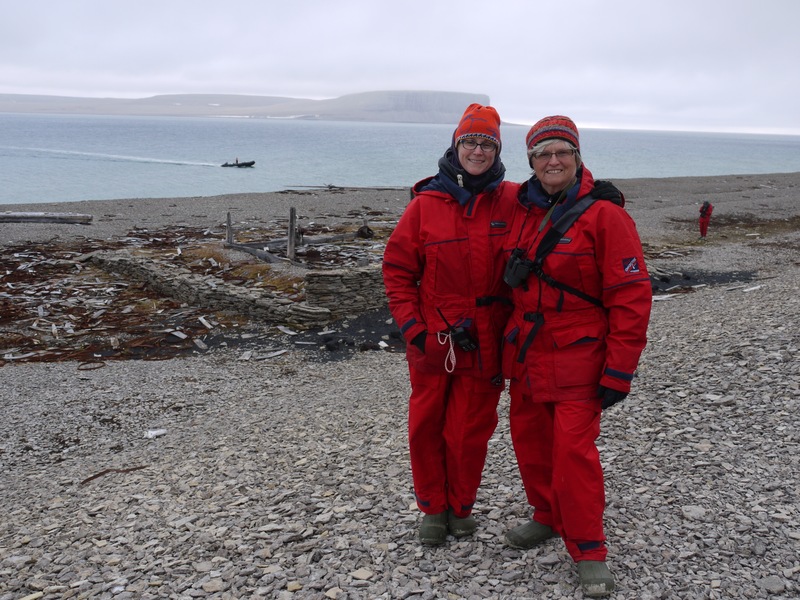 This entry was posted in Uncategorized and tagged Arctic Ocean, Beechey Island, Dorset culture, Franklin expedition, John Franklin, Northwest Passage, One Ocean Expeditions, Thule culture, Vavilov. Bookmark the permalink. Thanks Elaine. Those plants might be small, but they have great charms. I think in such a landscape you can’t help but to notice all the small details that get lost in our more lush climates. Fascinating trip Tandi. Your pictures are wonderful. Hi Tandi, I was also on the NW Passage trip this August. Thanks for sharing your memories and photos. It was such an incredible experience. Hi Barb! Thanks very much for your comment. What fun it was to experience the trip with you. I’ve so much enjoyed both posts on your trip, but this one is special. I’m not sure what it is about vast, “empty” spaces that I find so appealing, but so it is. Of course, the truth is that no space is empty, as you’ve shown so well. There are layers and layers of history and habitation, even if the habitations differ radically from what we’re accustomed to thinking of, and the history takes some digging to find. What a wonderful experience for you. The best part of tales like this is that they keep the urge to explore alive even in those of us whose explorations have to remain less extraordinary. Thank you! One of the things I find so interesting about the north, is how the idea of north, to someone who hasn’t been there, isn’t what the north actually is. Not surprising of course, and yet we have such grand ideas of what it is. It is grand too, just not in the way we might imagine. It was a big surprise to me that it is so empty and at the same time so clearly we are not the first folks there. I can’t remember who said this, someone famous and long dead, but the quote was – Do all your other travelling before you go north, because after that you won’t want to go anywhere else. Those wide open spaces are SO compelling.